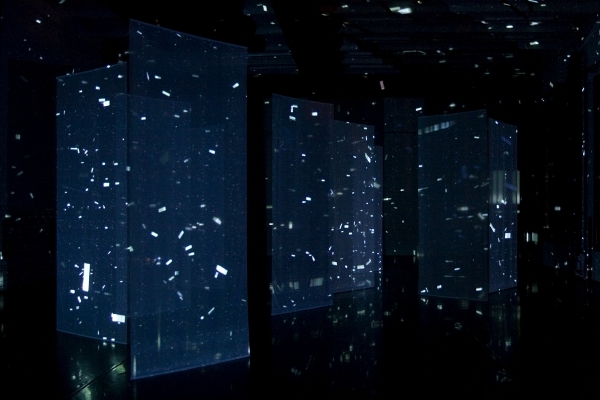 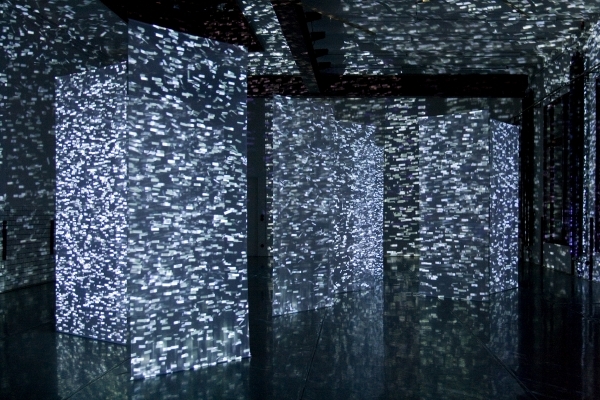 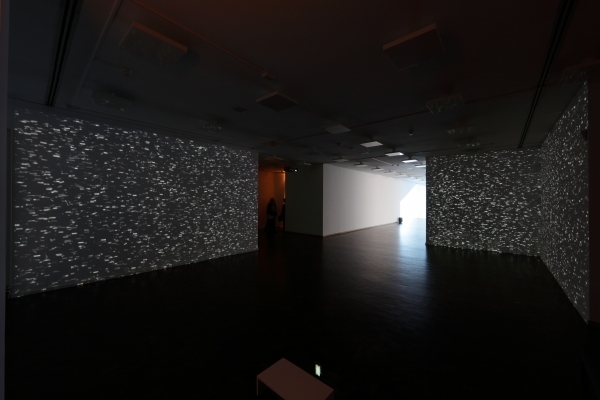 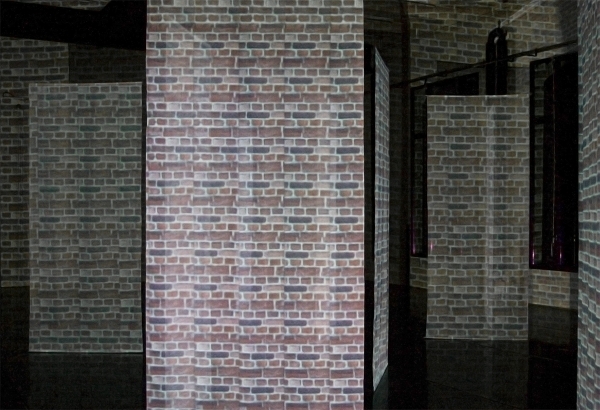 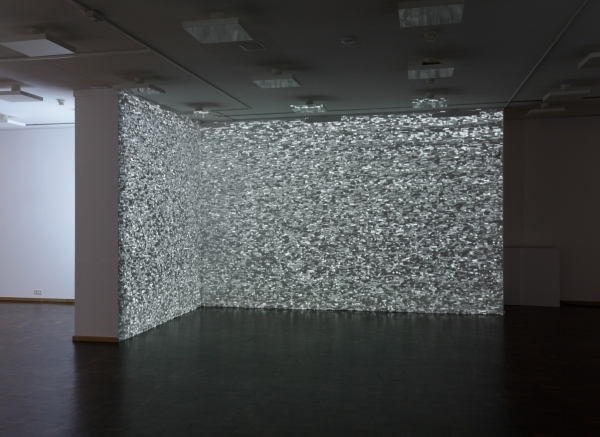 Three channel video on nine semitransparent screens (110 x 260 cm) · Colour · Silent · 6:09 min. 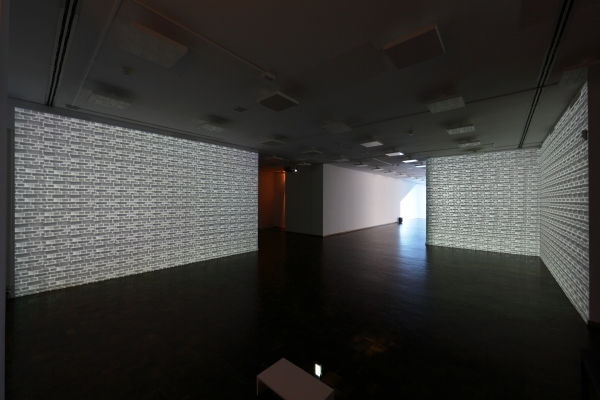 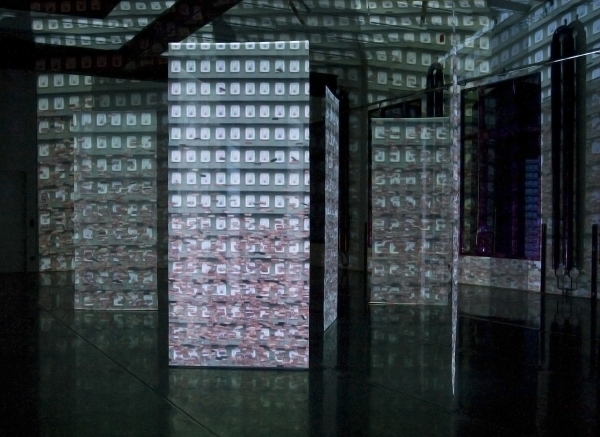 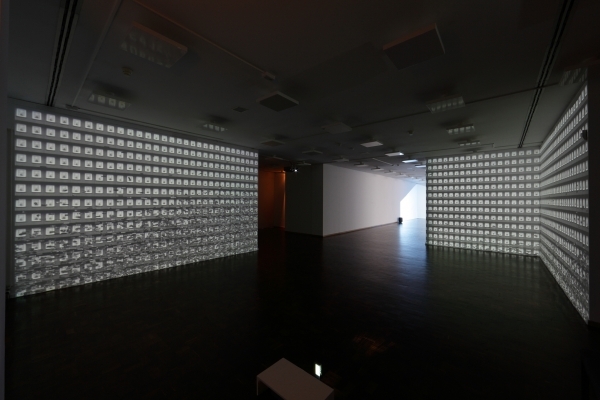 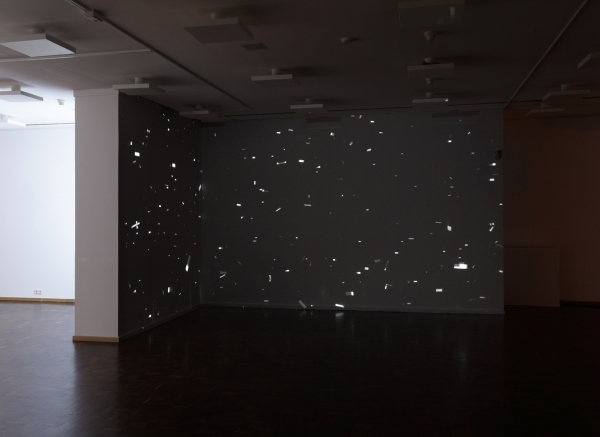 Collaged images of architectural elements – such as bricks, grids or windows – are multiplied a thousand times over and projected onto nine orthogonally distributed screens. 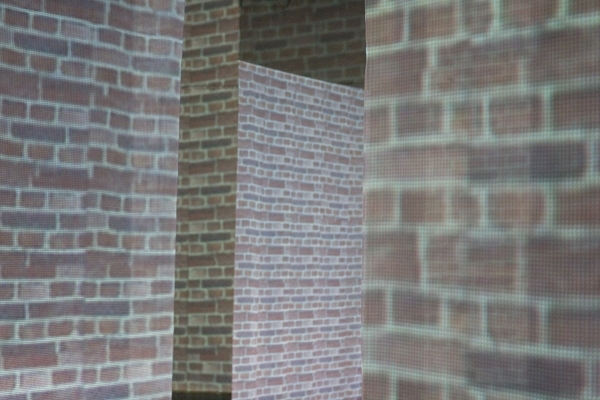 Swaying only slightly to begin with, they are soon pushing against one another, shattering like collapsing walls, now leaving our view free for the next wall, which likewise collapses. 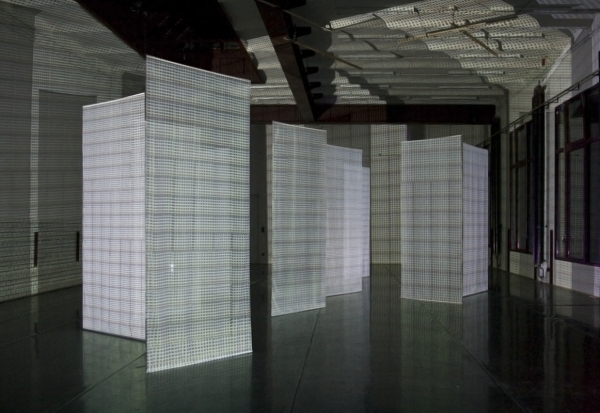 Mostly unnoticed, these everyday functional objects, now vastly multiplied, are here brought into the foreground and draw our attention to what is otherwise hardly given a thought. 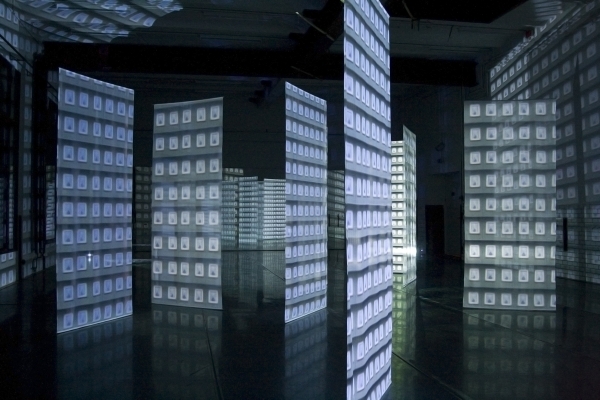 Thanks to the semitransparency of the screens, these microstructures of urban architecture are also projected onto the surrounding walls. 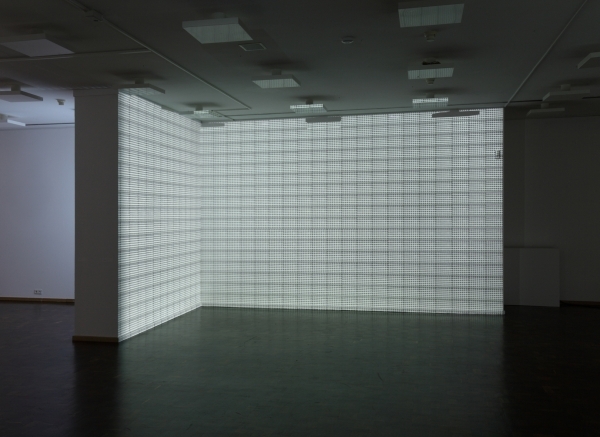 Thus the natural boundaries of the room themselves become projection screens.